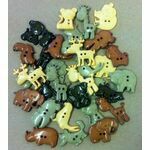 A bright pack of heart shaped buttons. 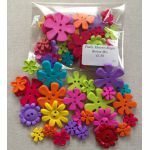 Each pack contains a mixture of colours and sizes. Please note that contents will vary from pack to pack. 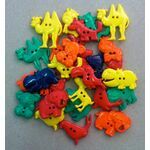 A bright pack of school theme buttons. 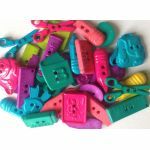 Each pack contains a mixture of designs, colours and sizes. Please note that contents will vary from pack to pack. 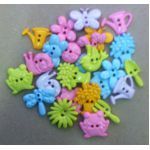 A pastel pack of school theme buttons. 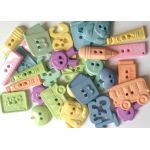 Each pack contains a mixture of designs, colours and sizes. Please note that contents will vary from pack to pack.